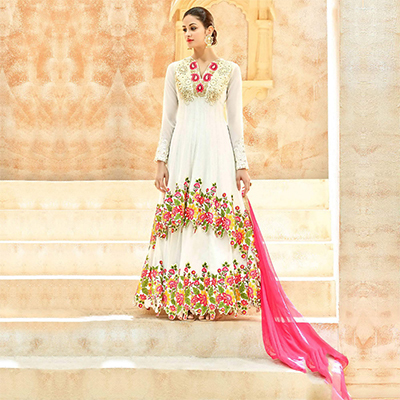 Impress everyone in this white floor length anarkali suit which would surely provide you an elegant and sophisticated look. 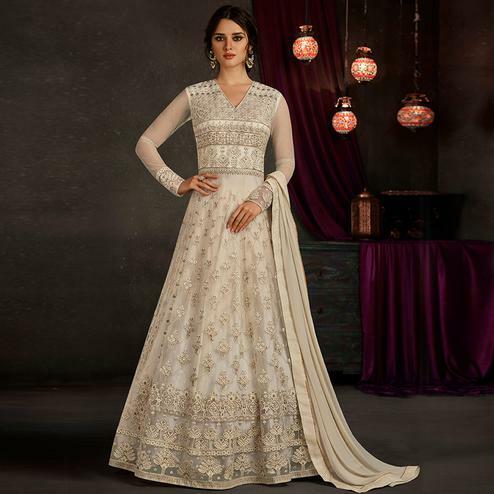 Featuring white color net fabric top showcasing multicolored heavy embroidery completed with stone work done at yoke wrist of the sleeves and lower part which is the real element of this semi stitched suit. 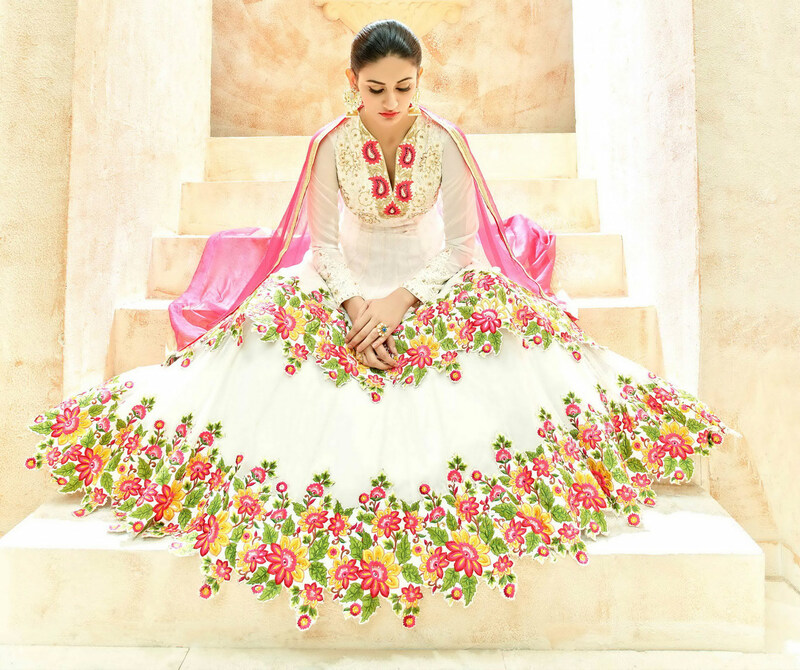 The outfit also comprises matching color santoon fabric bottom and pink color lace border work chiffon fabric dupatta. Best suited for weddings receptions engagement ceremonies and special occasions. Grab this outfit before someone else gets it and wear it.